Joel R. Primack is an American who specializes in the formation and evolution of galaxies; and the nature of the dark matter that makes up most of the matter in the universe. Primack helped create the “Standard Model” of particle physics. He is a Distinguished Professor of Physics and Astrophysics at the University of California, Santa Cruz, and Director of the University of California High Performance AstroComputing Center. Born 14 Jul 1921; died 26 Sep 1996 at age 75. Jay Wright Forrester is an American electrical engineer and management expert. In 1944-51 he supervised the building of the Whirlwind computer at the Massachusetts Institute of Technology, for which he invented the random-access magnetic core memory, the information-storage device employed in most digital computers. He also studied the application of computers to management problems, developing methods for computer simulation. Born 14 Jul 1874; died 31 Aug 1949 at age 75. Born 14 Jul 1857; died 26 Mar 1937 at age 79. Born 14 Jul 1842; died 21 Dec 1909 at age 67. Born 14 Jul 1797; died 8 Mar 1877 at age 79. A British naturalist and paleontologist, Bowerbank at 15 began his initial career was at his father's whisky distillery "Bowerbank & Sons". Educated by the famous Dr. Kelly, he took an early interest in science (mainly microscopy, entomology, palaeontology and the study of sponges). He has been most remembered for A Monograph of the British Spongidae (1864-82). 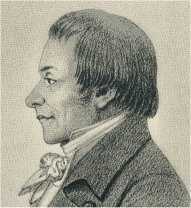 Bowerbank also pursued mathematics, botany, astronomy and paleontology. He was the honorary secretary and president of the Paleontological Society, and was one of the founding members of the Royal Microscopical Society and of the Zoological Society. Born 14 Jul 1762; died 14 Feb 1845 at age 82. Born 14 Jul 1610; died 24 May 1670 at age 59. Ferdinand II de Medici, Grand Duke of Tuscany was an Italian monarch and science patronwas Grand Duke from 1621. His eager and liberal patronage of men of science included Nicolaus Steno and Galileo, and he helped suppost the foundation of the Accademia del Cimento (1657). He also devised a sealed thermometer which, unlike Galileo's open one, was not affected by changes in air pressure. It was to him that Galileo dedicated the lens with which he had discovered the satellites of Jupiter and he also made him a gift of the armed lodestone. J. W. Blaeu dedicated to him one of his globes of the fifth type. Ferdinand II was also a patron of Robert Dudley. Died 14 Jul 2017 at age 40 (born 3 May 1977). Iranian mathematician who, in 2014, was the first woman ever to be awarded the most prestigious Fields Medal,“for her outstanding contributions to the dynamics and geometry of Riemann surfaces and their moduli spaces.” After completing her batchelor’s degree at Tehran, she moved in 1999 to work on a Ph.D. at Harvard. She became a professor at Princeton (2004-2008) followed by Stanford University. Sadly, cancer cut her life short at the age of 40. French-born American inventor and design engineer, known as the “Father of Streamlining.” Famous examples of his designs include the Studebaker1947 Starlight Coupe, the 1953 Starliner Coupe and the 1961 Avanti - designs that generated a public interest and acceptance far out of proportion to the company's relative size in the industry; the 1947 line of Hallicrafter radio receivers that conveyed a crisp precision far ahead of their time; the 1929 Gestetner duplicating machine, the 1934 Sears Coldspot Refrigerator and the S-1 Steam locomotive for the Pennsylvania Railroad - all landmark designs influential in establishing higher design standards in their respective design areas. He also designed such smaller items as toothbrushes, razors, furniture and the Coca Cola Bottle. American nuclear physicist who directed the first atom bomb test of the Manhattan Project in 1945. Died 14 Jul 1960 at age 85 (born 27 Apr 1875). Austrian-American mathematician and aerodynamicist who notably advanced statistics and the theory of probability. Von Mises' contributions range widely, also including fluid mechanics, aerodynamics, and aeronautics. His early work centred on aerodynamics. He investigated turbulence, making fundamental advances in boundary-layer-flow theory and airfoil design. Much of his work involved numerical methods and this led him to develop new techniques in numerical analysis. He introduced a stress tensor which was used in the study of the strength of materials.Von Mises' primary work in statistics concerned the theory of measure and applied mathematics. His most famous, yet controversial, work was in probability theory. Theory of Flight, by Richard von Mises. - book suggestion. Died 14 Jul 1929 at age 69 (born 23 Jun 1860). English biologist and anthropologist, the first trained and experienced scientist to enter the field of Australian anthropology. He made several expeditions to central and northern Australia (1894-1926), making representations on Aboriginal welfare to the Australian parliament in 1913. In 1912 he collected more than 200 bark paintings which he presented to the National Museum of Victoria, together with his ethnographic collection, in 1917. Spencer's interpretation of Aranda society came under criticism at the time and his paternalistic conclusions are unacceptable to later scholars. His writings and pictorial records constitute, however, a unique and valuable archive of Aboriginal society. He returned to England in 1927. Died 14 Jul 1926 at age 81 (born 30 Dec 1844). Sir William Henry Perkin was an English chemist and inventor who, in his youth, was enthused about chemistry by attending public lectures by Michael Faraday. While experimenting to synthesize quinine from a coal tar chemical, Perkins mixed aniline and sodium dichromate and unexpectedly found a dense colour - he named as aniline purple - which he extracted with alcohol. He had discovered the first artificial dye. Textiles of his era were coloured from natural sources; his was a valuable alternative. At the age of 18, he patented the dye. His father invested in his efforts to manufacture the dye. It went on sale in 1857, and it became popular in France. By age 23 he was fathering a new synthetic organic chemical industry. He continued synthesis research. He was knighted in 1906. Died 14 Jul 1899 at age 96 (born 15 May 1803). General Sir Arthur Cotton - His Life and Work, by E.R. Hope. - book suggestion. Died 14 Jul 1887 at age 75 (born 26 Apr 1812). The Arms of Krupp: The Rise and Fall of the Industrial Dynasty that Armed Germany at War, by William Manchester. - book suggestion. The Victorian Internet: The Remarkable Story of the Telegraph, by Tom Standage. - book suggestion. In 1965, the Mariner 4 satellite sent a transmission of the first close-up photograph of Mars. It consisting of 8.3 dots per second of varying degrees of darkness. The transmission lasted for 8.5 hours and depicted the regions on Mars known as Cebrenia, Arcadia, and Amazonis. The satellite was 134 million miles away from earth and 10,500 miles from Mars. The 574-pound spacecraft had been launched at 9:22am on 28 Nov 1964, from Cape Canaveral, FL, by a two-stage Atlas-Agena D rocket. In addition to its camera with digital tape recorder (about 20 pictures), it carried instruments for studying cosmic dust, solar plasma, trapped radiation, cosmic rays, magnetic fields, radio occultation and celestial mechanics. Typical hedgerow of the bocage. In 1943, George Washington Carver was honored by U.S. President Franklin Delano Roosevelt dedicating $30,000 for a National Monument to his accomplishments. The area of Carver's childhood near Diamond Grove, in southwest Missouri has been preserved as a park, with a bust of the agricultural researcher, instructor, and chemical investigator. This park was the first designated national monument to an African American in the United States. In 1850-65, Diamond was a typical "crossroads village" near a diamond-shaped grove of trees not far from the Carver farm in Newton County. Also called Diamond Grove, it consisted of a general store, a combination blacksmith shop and post office, and a church that served as a schoolhouse during the week. Racial Hygiene: Medicine Under the Nazis, by Robert Proctor. - book suggestion. Rocket Man: Robert H. Goddard and the Birth of the Space Age, by David A. Clary. - book suggestion. In 1891, the first US patent was issued for pure corkboard to John T. Smith of Brooklyn, NY. Manufacture was begun in Brooklyn in 1894 by Stone and Duryea. Cork covering was produced first, followed by the manufacture of pure corkboard. (No. 456,068) He described a process whereby to subject "cork in a more or less fine state in a closed vessel to heat, so as to melt and volatilize the resinous matter contained in it, permitting some of the vapor to escape from the vessel and cementing the cork particles together by the condensation of the remaining vaporized resinous matter." The patent commented on the value of the product in life-preservers for being less dense and more waterproof after this treatment. In 1867, Alfred Nobel demonstrated dynamite for the first time at a quarry in Redhill, Surrey. In 1866 Nobel produced what he believed was a safe and manageable form of nitroglycerin called dynamite. He established his own factory to produce it but in 1864 an explosion at the plant killed Nobel's younger brother and four other workers. Deeply shocked by this event, he now worked on a safer explosive and in 1875 came up with gelignite. Other inventions followed including ballistite, a form of smokeless power, artificial gutta-percha and a mild steel for armour-plating. In 1853, the first US World's Fair opened in New York.Born of a desire to recreate and, if possible, surpass the British Crystal Palace exhibition of 1851, it was promoted by New York businessmen, including Horace Greeley. Modeled after London's impressive structure, the iron and glass New York Crystal Palace was an octagonal form, with Greek-cross superstructure abutting a round dome at the center and tall minarets at the outer angles. The building housed 4,854 exhibitors, of whom about half came from 23 foreign nations. The roof of the ill-fated Crystal Palace leaked and heavy rains ruined exhibits and soaked visitors. Delays, poor management and dwindling attendance caused the exposition to close with a substantial loss. In 1850, the first public demonstration of ice made by refrigeration in the U.S. took place during a dinner at the Mansion House, Apalachicola, Dr. John Gorrie produced blocks of ice the size of bricks. He installed his system in the U.S. Marine Hospital in Apalachicola. He obtained the first mechanical freezer patent on 6 May 1851, for an "improvement in the process for the artificial production of ice." In 1791, chemist Joseph Priestley's laboratory, home and library in Birmingham were burned to destruction by a mob of people angry at his support of the French Revolution. Within a few years, on 7 Apr 1794, he forever left England and travelled to the United States. Priestley discovered oxygen nearly 20 years earlier, on 1 Aug 1774. Joseph Priestley: Adventurer in Science and Champion of Truth, by F W. Gibbs. - book suggestion.